Thank goodness Friday is here! Can I get an amen? 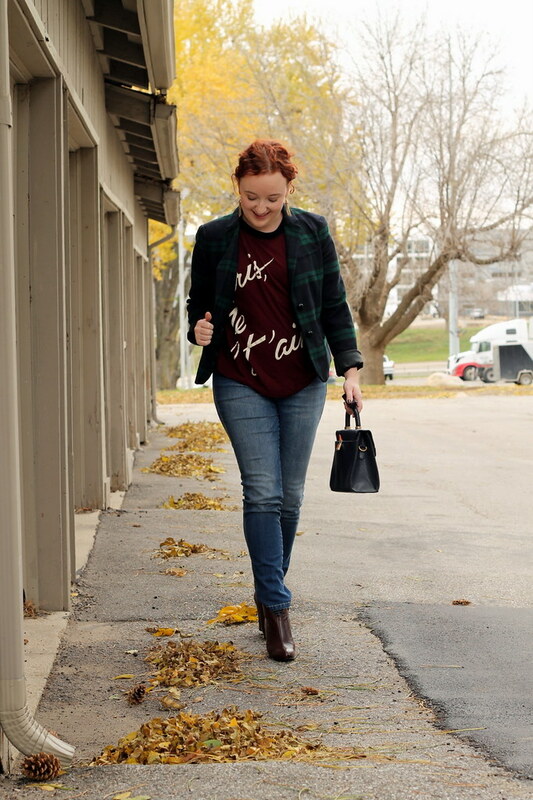 Nothing like a little plaid and wine-colored pieces to get the weekend started off right. 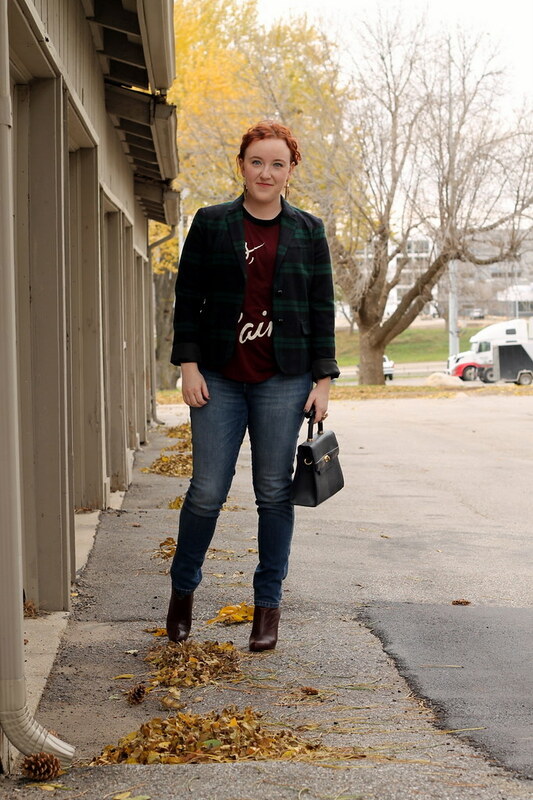 This plaid blazer has been in the back of my closet since last winter, so I was happy to bring it back out for the crisp fall weather. 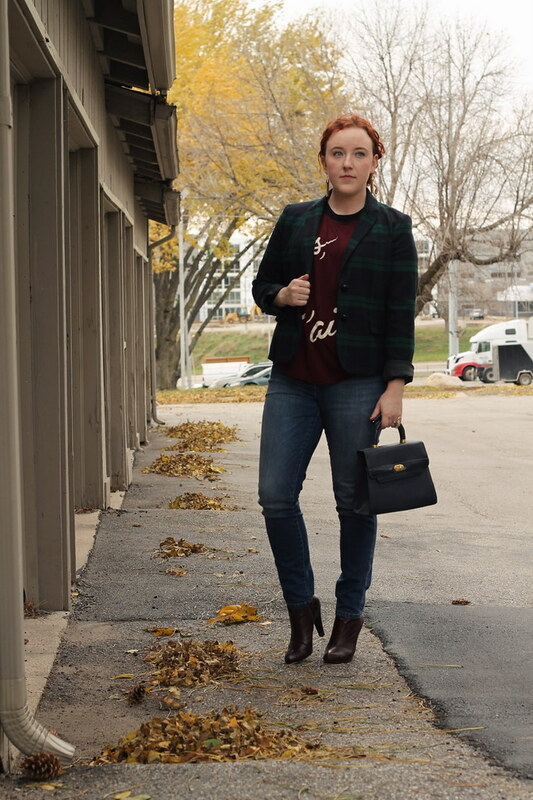 I paired it with a top-handle bag to add some ladylike-ness to the outfit. 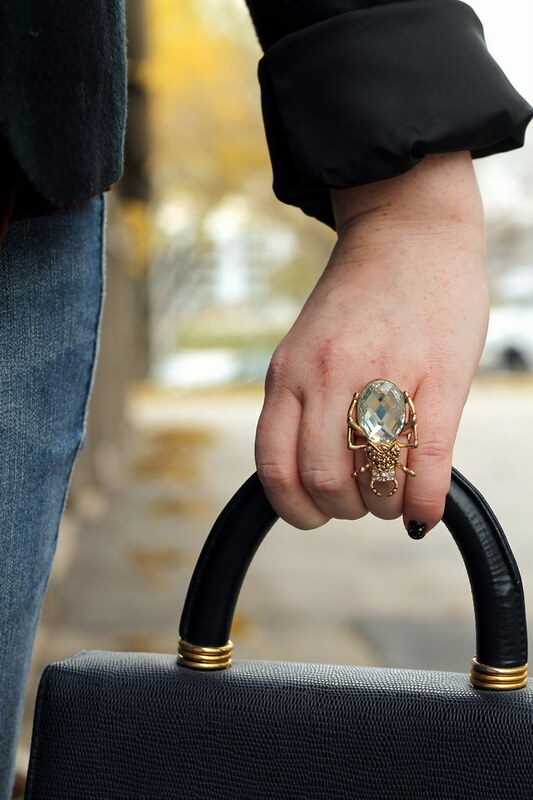 Oh, and my beetle ring? I couldn’t find it online, but you might be able to find it at your local Old Navy (less than $10)!